My wife has ended up having a C-section with all three of our deliveries (four kids). 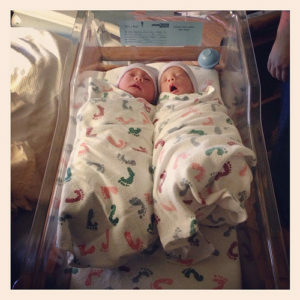 Twins are more likely than not to come via C-section so it is in your best interest to be ready. As a dad, you will experience a C-section from the outside. Nevertheless, you need to be there to support, encourage, and help. I asked my wife to share her side of the story so that you, as a dad, can know what to expect and what your wife will be going through before, during, and after a C-section. 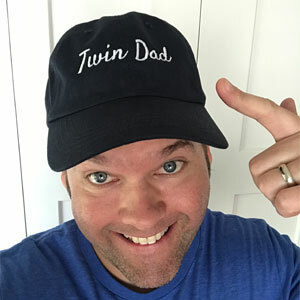 I’ve put “dad’s view” comments mixed in with my wife’s story to also give you some perspective of what I saw and experienced as the dad of twins delivered via C-section. If you are brave enough to venture down the “What if” of the C-section path, a good place to start is to ask your doctor about the specifics of what to expect, since procedures undoubtedly vary from hospital to hospital and even doctor to doctor within the same hospital. Some of what I experienced may hold true across the board; some may not. I share my experience to help you get a sense of what to expect. After filling out a lot of paperwork and signing an awful lot of papers, Joe and I walked down to the Operating Room (OR). I kissed Joe and followed the nurse into the room, leaving him in the hall to wait. My nurse helped me up onto the operating table so I was sitting on it. The anesthesiologist numbed the skin on my back prior to administering a spinal block, so it just felt like a little pinch. I didn’t feel the needle going in. The spinal takes effect immediately. I had time to swing my legs up onto the operating table before they started to go numb, and within minutes I was numb from my toes to my ribs. My body felt heavy and warm and it was kind of funny to try to move and not have anything happen. I could feel some pressure, like when you take your hand and press it on your arm, when the nurses were disinfecting my stomach to prep for surgery. Dad’s View – I missed all of this. I was outside the operating room, dressed up in a “bunny suit” (covering my clothes and hair) waiting for the nurse to come get me and let me in. Time passed very slowly and about the time I started to think they forgot me, the nurse came out and ushered me into the operating room. When they were actually ready to get going, they let Joe come into the OR. They put a curtain up at my chest so I couldn’t see anything that was going on. It was wide enough and high enough that Joe could just see over it standing. After our first C-section, I realized I hated not being able to see anything, so at the 2nd and 3rd ones, I made sure to request that they lower the curtain when the baby/babies were coming out. This enabled me to see the baby as they lifted him/her from my belly but I couldn’t see my belly. Dad’s View – By the time I was ushered into the room, the medical staff was already busy at work cutting open my wife. Our doctor actually wanted me to sit down (and thus not see anything) until closer to the actual delivery. I spent this time talking to my wife in a surreal setting where everything was covered up except her head. Her arms were stretched out to the sides and the anesthesiologist was sitting/standing with us. The whole time, I hoped the doctor would let me stand up in time to see the delivery. I also made sure Joe was manning the camera (video and stills). He was able to video the three births of our kids and I actually love watching that footage. It’s not gross–very cool, actually. I thought that I would be cut open from hip to hip and they would just lift the babies out, but the incision is only big enough for the baby’s head to pass through. I remember being amazed at how much of a “mini birth canal” experience it still was. Dad’s View – Watching the doctor pull our babies out of my wife was amazing. I was surprised how much the doctor had to pull, push, yank, and twist to get one of our daughters out. You really won’t feel any of it. You may feel some pressure and you may sense your body being rocked back and forth as they ease the babies out, but other than that, nothing. Since you won’t feel anything, you may want to ask your doctor or your husband to narrate the events for you so you know where you are in the process and what is going on. Otherwise, you just get to lay there, wait, and wonder, and the whole experience will be over before you know it. Dad’s View – As I stood up next to my wife and peered over the curtain, I narrated what was happening to my wife while balancing the camera and trying to remember to take pictures and video. I’m not sure how much I actually said to my wife but I did get the video! After the babies were out (two minutes apart), they took them over to the warmer to wipe them down and do their APGAR test. Once they got them bundled up, they brought them over for me to see. I could touch them with one hand and kiss their little cheeks when the nurses held them close to my face. Unfortunately, at this point, you’re not really in a position where you can hold your babies. Then it was off to the nursery for them. Dad’s View – I was mentally torn between watching my first-born daughter get cleaned up and then rushing back to the operating table to see my other daughter be born. I also wanted to tell my wife how our first girl was doing. My head was swirling but I somehow managed to see the first, tell my wife, and not miss the second’s birth. Read part 2 where we share what happens right after the C-section. 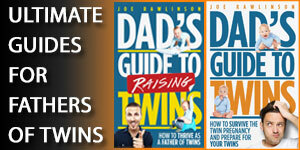 You’ll find more details on potential twin delivery options in the Dad’s Guide to Twins: How to Survive the Twin Pregnancy and Prepare for Your Twins. 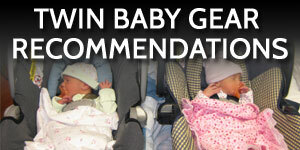 This is good, but there is another side of this event: emergency twin C-Section. My wife’s water broke at 29 weeks and 2 days. 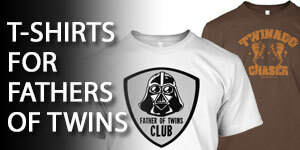 They held of labor with medication, gave steroids to the twins. When she finally went into labor, one twin was head down, one was laying across. The call was made for emergency C-Section at 29 weeks and 6 days. My wife was wheeled away. I got on the bunny suit. I didn’t get to take in a camera (video or still), as it was emergent surgery, not scheduled. I was able to watch the internals taken out of my wife, and then the kids. We also didn’t get to have the twins bundled up and carried. They were wheeled over to us in a warmer. I didn’t get to hold either of the twins for weeks. The twins were then whisked away, worrying about whether they were ok. I got to go see them with my MIL. My wife got to go see them after 6 hours (as soon as the hospital would allow), still in a wheel chair. 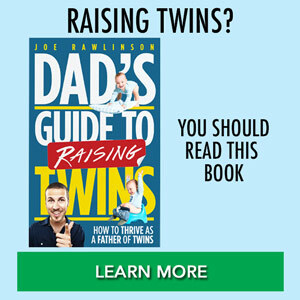 As the readers should know, my twins spent a total of 6 weeks in the NICU (I wrote https://dadsguidetotwins.com/how-to-survive-preemie-twins-and-the-nicu/ ). It’s still hard for me to write about this, 8 months later. I’m still having flashbacks. It’s one of those traumatic things you never forget. I appreciate your comment Tom. An emergency c section is a whole different experience than a regular one and after I read the article I thought the same thing you did. Mine was traumatic and I’ll never forget it. Glad all are healthy now. Thank you for sharing your personal story. I work with parents expecting twins. Having a c-section may be frightening for women who have never had one before. Your experience may give them a sense of preparedness. @Tom – You bring up a great point. Everyone’s delivery is different. 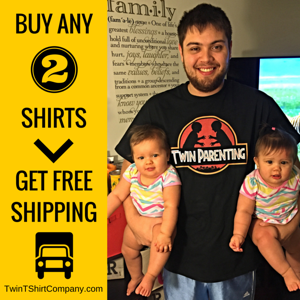 Especially with twins, things are more likely to not go according to plan. @Jacqueline – I’m glad this was of help. I hoped to share some of my wife’s feelings so that it could help other parents, like those you work with, be prepared for c-sections. 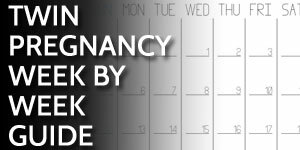 Stumbled upon your site and I must say this is a great resource for both side of a csection. I had my twins via cesarean at 39 weeks and just reading this flooded back so many memories. Thank you! Hi, I also found your site. I’m 27 weeks preggo with ID boys and I’m totally freaking out by the C-section. This brings me a bit of sense of what I could expect. Thank you! @Yamila – good luck in the final weeks of your twin pregnancy! My twins were born via c-section at 31 weeks/5 days because I developed preeclampsia after 6 days of hospital bed rest. I remember going into the OR, getting the spinal, and not much else. Fortunately, my doctor called out to me as he took each baby out, telling me to look up, so I do remember seeing each of their faces for the first time. I was on magnesium from an hour before the delivery until 24 hours after, so I think that’s what contributed to my loopiness. Because of that, too, I couldn’t go to the NICU to see them until the 24 hours were up. Toughest 24 hours ever (although I did get to see them on a private closed circuit monitor that my hospital offered). Recovery wasn’t too bad, though. I’m not the fittest person but I had been going to the gym regularly until a week before I ended up hospitalized, and I credit that with helping me recover so quickly. @Amy – I can only imagine the difficulty of waiting for 24 hours to see your babies. Thanks for sharing your experience. I cant wait to have mine. I’ll ask the doctors to allow me in with a camera.